The AV Preeminent Rating from Martindale-Hubbel is a significant rating accomplishment and a testament to the highest level of professional excellence and very high criteria of general ethical standards. The Martindale-Hubbel Peer Review Ratings are an objective representation of a lawyer’s professional ability and ethical standards, generated from evaluations of the lawyer’s peers. Facilitated by LexisNexis, online surveys are performed by lawyers across many geographical locations and jurisdictions in similar areas of practice as the lawyer being rated. Each reviewer assesses their colleagues’ legal ability and general ethical standards in a specific area of practice. This Peer Review Rating system is an invaluable service that enables members to benefit from objective peer-to-peer feedback from other lawyers. The peer reviews are facilitated by Martindale-Hubbel and LexisNexis on a continuous basis with reviews conducted randomly or by the request of a lawyer. Martindale-Hubbel has been facilitating Peer Review Ratings for more than 130 years. 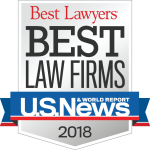 AV Preeminent ratings appear in all formats of the Martindale-Hubbell Law Directory, in the online listings on Lawyers.com, Martindalecom, and on all LexisNexis services.